Let’s start with the first Topic and work through . vSphere with Operations Management: delivers virtualization with consistent management, purpose-built to help maximize the benefits of virtualized data center and get the best performance, availability and efficiency out of the infrastructure and applications. 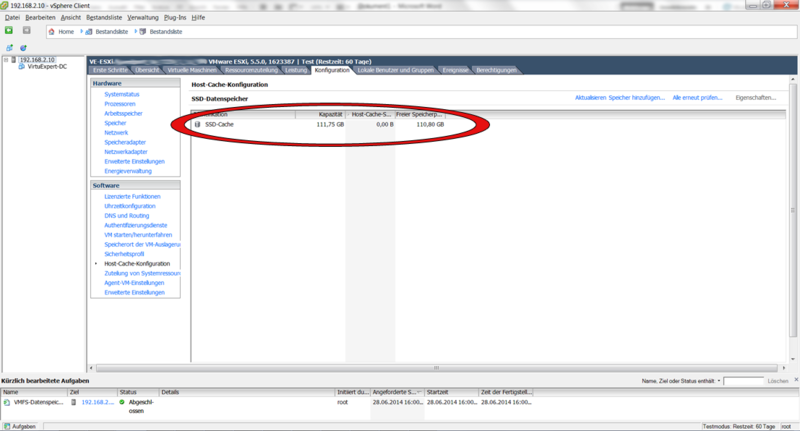 Hereby is the vRealize Operations manager included to the vSphere for Monitoring, Optimization and Capacity Management. VMware Site Recovery Manager: Desaster Recovery Tool that protect applications and automate recovery plans. vRealize Automation and Business: offers rapidly and automated provisioning of infrastructure and Application, Efficient management and understanding the cost and consumption of Infrastructure. vRealize Suite: complement the vCloud suite to manage non-vSphere Hypervizors, physical Infrastructure and Hybrid Cloud Environments. Next generation Storage, an optimized solution for Hyperconverged infrastructure. 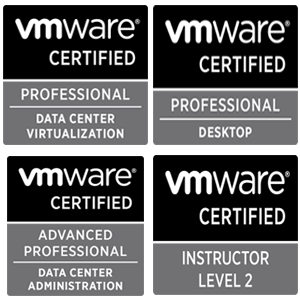 VMware virtual SAN deliver integrated Enterprise-Class shared Storage services for virtualized production. Virtual SAN provides users the flexibility and control to choose from a wide range of hardware options and easily deploy and manage it for a variety of IT workloads and use cases. Virtual SAN can be configured as all-flash or hybrid storage. Logical Routing: provides dynamic Routing within different virtual networks. Logical Firewall: distributed Firewall, kernel enabled rate performance, that is virtualization and identity aware, with activity monitoring. 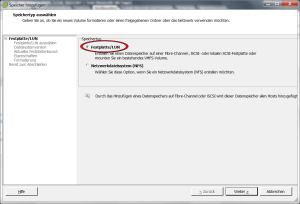 ESXi 5.x detect if the Disks are SSD or non-SSD . 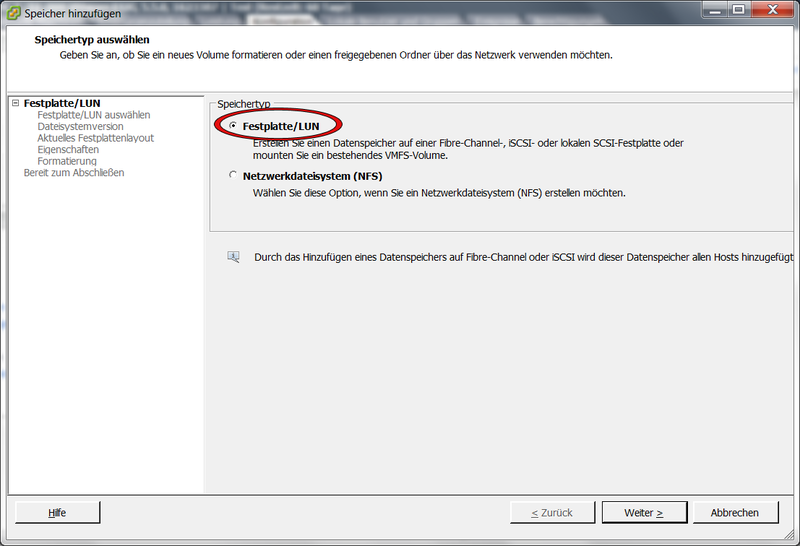 This should be desplayed in the vSphere client or web client, as it is a vSphere 5.x feature. 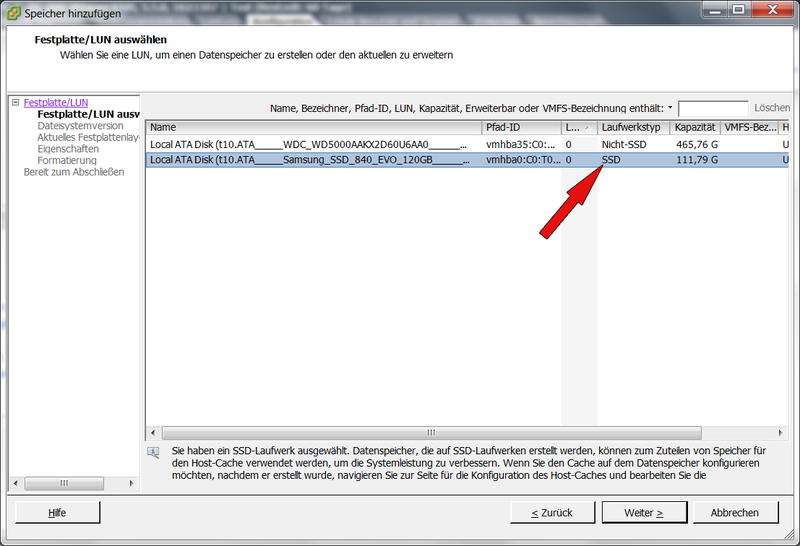 If you do not have an SSD-Disk in your environment or in case the disk is not recognized as SSD’s, you should be able to tag any Disk as SSD. 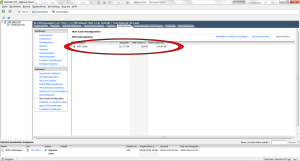 William Lam posted a blog How to Trick ESXi 5 in seeing an SSD Datastore. 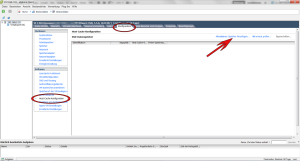 After the disks are tagged as SSD, logon to the ESXi and then navigate to the configuration tab, under the category Software on the link host cache configuration, and then click on the link to add Storage. 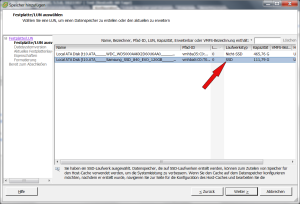 Recommended is to use a dedicated disk for the host cache. 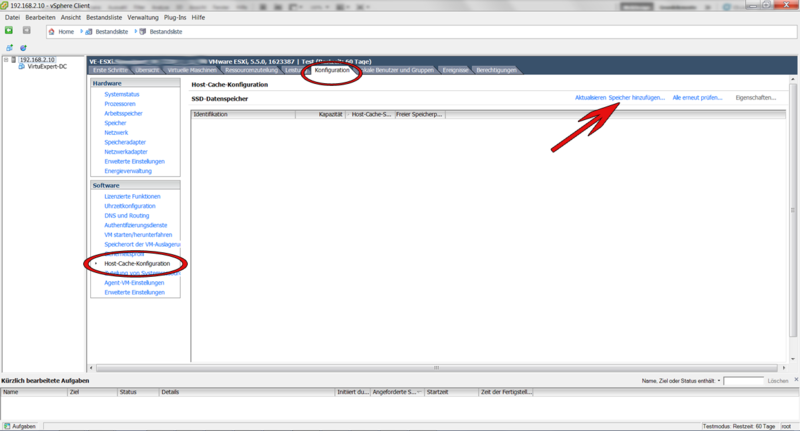 To see what happened there, open the datastore browser and a new folder is created in the new VMFS datastore.